The redesign and development of the Community Counts Colorado website was a fast-paced project driven primarily by a security breach of the previous website. 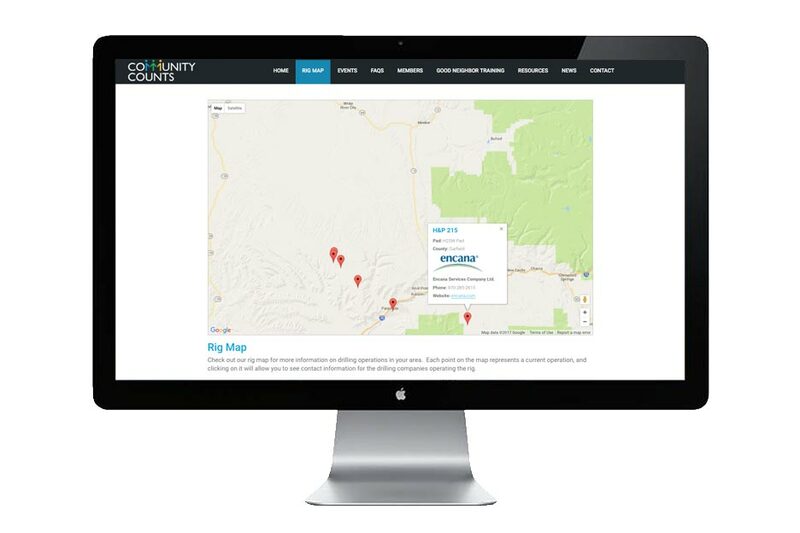 Unable to recover their original website, Community Counts Colorado contracted Align Multimedia to rebuild their platform with a focus on security and a custom “Rig Map” feature. As an entity that provides an intermediary service between Colorado’s oil and gas industries, CCC is often in the sights of “hacktivists” looking to attack industry websites. As such, Align has implemented additional security features to prevent future attacks. Additionally, a custom “Rig Map” feature has been developed that delivers drilling rig information to area residents, and can be easily updated on the website’s backend by novice web administrators.